Plastic packaging is one of the worst environmental crises our planet faces today. Many forms of plastic packaging are single-use and difficult to recycle or are not eligible for recycling in many places. 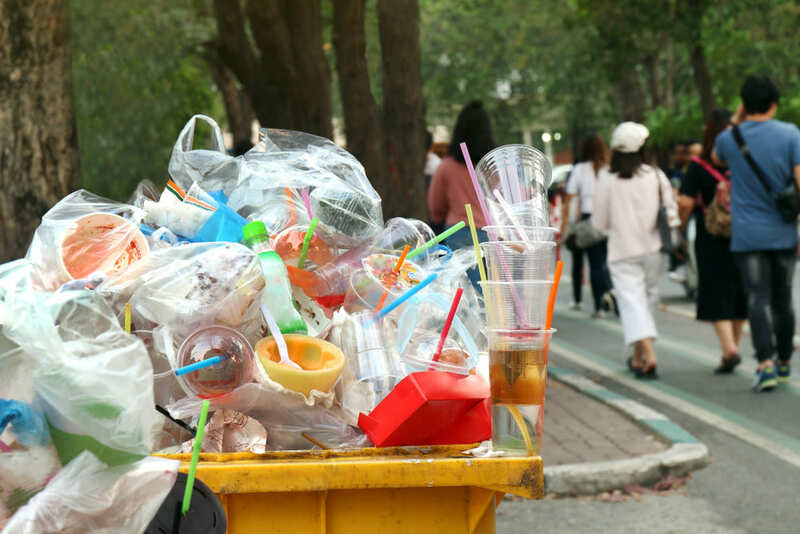 While single-use plastics are falling out of favor in many western countries, some of the world’s largest countries still do not have widespread recycling programs, while their rapid population and economic growth are spurring major consumerism-focused booms. The pressure of popular opinion, scientists, and environmental advocacy groups has led to some changes for the better, though. Recent news stories in the United States focused on the plastic straw ban in many states and metropolitan areas, following the plastic grocery bag bans that have generated media attention across the country. The legislative action has facilitated some progress, but corporations still wield more power when it comes to making swift and lasting change–especially where innovation in packaging design and materials is concerned. Plastic products threaten the environment in multiple ways. They are created using fossil fuels, which is already a non-renewable resource that is being consumed at an alarming rate in the form of gasoline, plastic products, and other industrial oil-based lubricants. The drilling, transport, and burning of fossil fuels has an enormous negative impact on the environment, in the generation of greenhouse gases and damage to fragile ecosystems where oil is often found. And plastic products created from petroleum are almost entirely not biodegradable, which means they create the worst form of waste. From soda bottles to plastic wrapping for food to product packaging or even plastic products themselves, our obsession with cheap, disposable products has created a serious environmental crisis. According to Dell, a brand which is committed to rethinking our packaging mindset, there are more than 5 trillion pieces of plastics in the oceans right now, which is equivalent to 5 grocery bags full of plastic stacked upon every foot of every nation’s coastline around the world. What’s worse, the vast majority of that debris is less than 5 mm in size–which means it is plenty big to cause problems, and just small enough to create even worse problems–like ending up in the digestive tracts of animals and being dispersed even further through water currents. 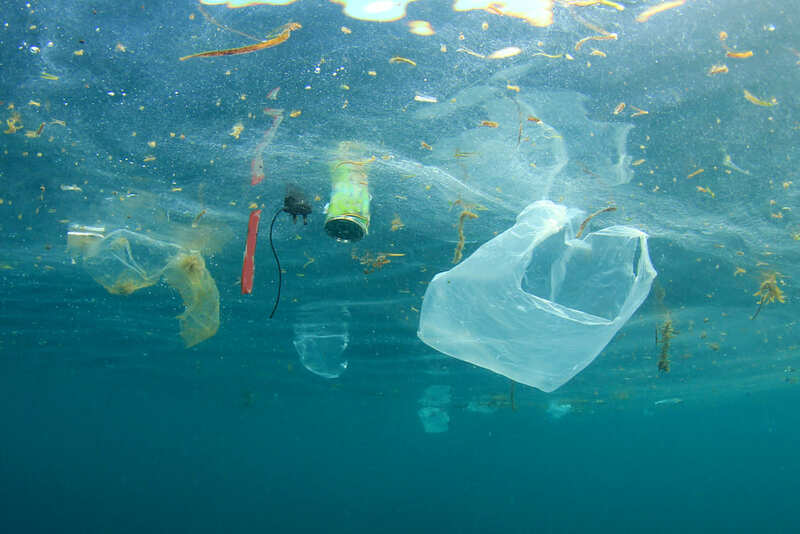 Plastics never fully biodegrade, they just continue to break into smaller pieces as they endure the weathering process, which means that plastic goods never “return to dust” as nature intended, but rather remain hard and detrimental for everything they come into contact with. The Great Pacific Garbage Patch, a massive concentration of plastic debris floating in the Pacific Ocean, is now twice the size of Texas. The size of the garbage patch is staggering and hugely concerning–it can now be seen with the naked eye from outer space–but perhaps worse is the fact that plastic has only existed since the 1950s, which means that amount of waste has accumulated in half a century and does not seem to be breaking down to anything but smaller, more harmful pieces of plastic. In recent years, supermarkets alone have used over a million tons of plastics annually, packaging things like pre-sliced fruit and cheese; that type of packaging simply cannot be reused or recycled. 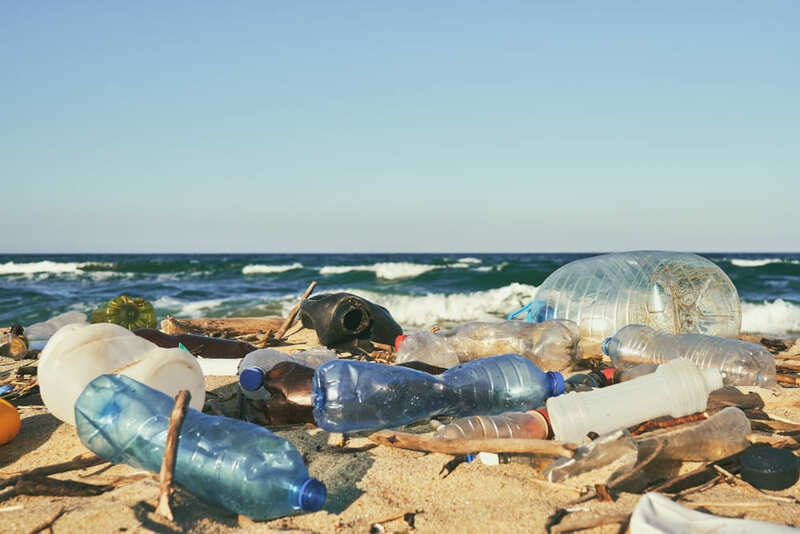 However, some brands are prioritizing innovation to minimize the use of single-use plastics by making biodegradable plastic alternatives from renewable resources or rethinking the design and style of packing. In the UK, supermarkets have made a voluntary pledge to switch to entirely recyclable, reusable, or biodegradable packaging by 2025. 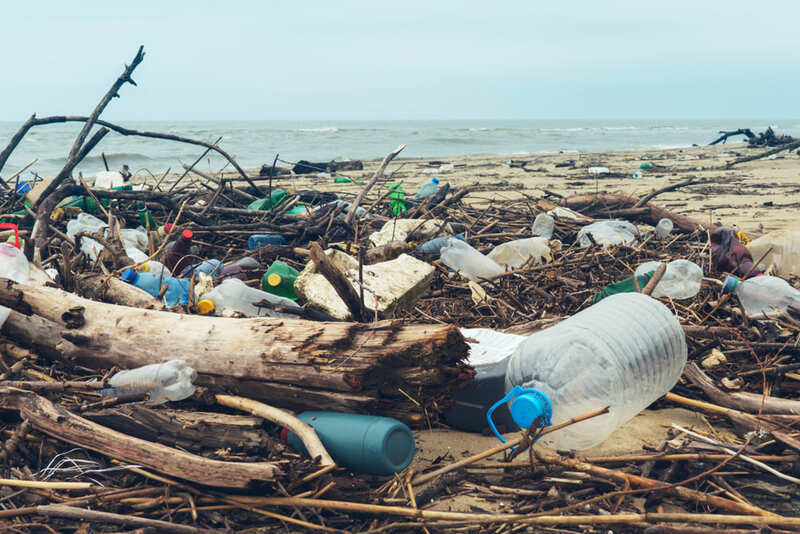 In this case, public opinion proved far more powerful than legislation, while the shift away from single-use plastics will require innovative new materials and consumer flexibility as grocers determine new alternatives to accepted packaging styles. Some stores are implementing changed rules that allow customers to bring their own containers in to buy products directly from bulk bins and meat counters, eliminating plastic packaging that is essentially used simply to wrap something as it is transferred from the grocer to the customer’s kitchen. Others are focusing on new materials and packaging styles to make tomorrow’s packaging far more recyclable or biodegradable. Major cosmetic and household goods conglomerate Unilever has committed to fully joining the so-called ‘circular economy’ (that is, an economy where packaging products can either be recycled into new packaging or composted into earth-friendly materials used in agriculture or similar) by 2025. It cites statistics like “ just 14% of the plastic packaging used globally makes its way to recycling plants, while 40% ends up in landfill and a third in fragile ecosystems,” and “By 2050, it is estimated there will be more plastic than fish in the world’s oceans” to provide a sense of urgency and purpose to its initiative. Unilever is one of the major corporations that is committed to demonstrating the viability of not only implementing recyclable plastics in its packing but also in showing major recycling operations that its products are easy and commercially feasible to recycle and repurpose. IKEA, another global retail giant, has announced its plans to push mushroom-based packaging as a renewable, eco-friendly alternative to polystyrene. Polystyrene is either difficult or impossible to recycle, depending on surrounding resources, initiatives, and packaging design. Polystyrene takes literally thousands of years to decompose; new, mushroom-based mycelium packaging can be set in garden soil where it biodegrades and acts as a natural fertilizer within weeks. What’s more, mycelium can be grown nearly infinitely using mushroom spores and minimal energy or resources, thus providing a dramatically lower-energy and more sustainable alternative to producing plastics. Nestle is another global titan that has prioritized a shift towards sustainable product packaging, noting that it aims to use 100% recyclable or reusable plastic by 2025. Global manufacturers proving viability and providing eco-friendly alternatives to traditional packaging techniques is critical for changing the conversation and quickly making a widespread impact on the types of plastics in the consumer marketplace. However, until all large and developing nations adopt responsible recycling programs that can ensure these products do not end up in the ocean or other sensitive environments, whether a product can be recycled or not makes little difference.